An American man accused of trying to kill three people while honeymooning in Northern Ireland had his bail varied yesterday to allow him to return home. At Ballymena Magistrates Court, district judge Nigel Broderick allowed 31-year-old Nicholas Keith Warner to go back to South Carolina, on condition that he lodge a £4,000 (€4,500) cash surety and surrender his passport to US police within three days. 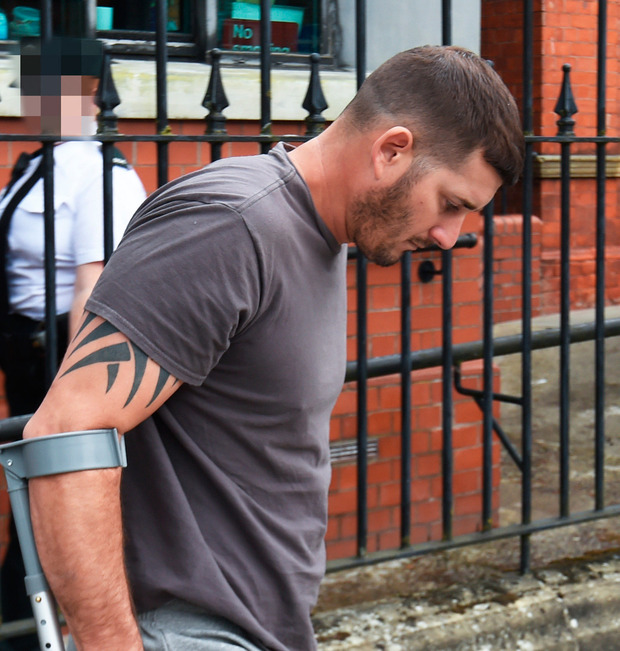 Electrical engineer Warner, who appeared in court on crutches having broken his leg in the incident, is accused of attempting to murder three men in Ballycarry on August 11. The 31-year-old is also accused of having a knife in a public place, affray and causing a fourth man actual bodily harm. The charges arise after three men, two aged in their 30s and one aged in his 60s, sustained stabbing injuries in an incident outside a bar on Main Street. A previous court heard that Warner denies the charges but admits he did have a knife. A detective constable said police were objecting to Warner and his wife being allowed to leave the jurisdiction amid fears they would not return. The court heard there had been an initial incident inside the bar with Warner and his wife leaving by the front door while the three complainants left by a rear door. When a barman went to retrieve the couple's hire car, CCTV footage showed the men running after it, Warner going to ground and one male circling him while kicking at his head. The footage also shows, the court heard, Warner getting up and stumbling away pursued by a group of men and the police officer confirmed the defendant's own phone had been used to contact the emergency services. At the scene, Warner "complies and co-operates and makes a self-defence case," Judge Broderick heard. Handing up a sheaf of character references, defence solicitor David Jones revealed that Warner had already instructed an attorney in his native United States and repeated his intention to come back to NI in order to clear his name. Judge Broderick said he could vary bail but that Warner could only leave once £4,000 (€4,500) had been lodged and must also surrender his passport once he returns to the USA. Warner is also prohibited from entering Ballycarry or contacting the complainants. The case will be heard again next month, but the defendant was excused from attending court.